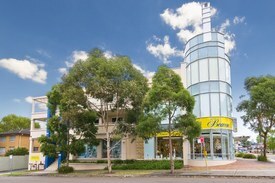 1 Commercial Real Estate & Properties in Waitara are listed in 1 categories. We have 1 OfficesLease . Excellent quality space. Prominent position above Beacon Lighting. Only short walk to Waitara train station. Ideal for a variety of commercial uses. Prominent position Lift access Great natural light Flexible terms Parking spaces available Contact Jacob Broxom 0422 194 532 or Bill Geroulis 0413 100 200 Disclaimer: All data is provided for information purposes only and while all care is taken in its presentation, Shead Property does not guarantee or warrant the accuracy, completeness or currency of the information.